Here we are in 2015 and some people like me already can’t live without a digital assistant. No, I am not referring to that sticky-faithful fellow that follows you everywhere you go, taking your notes, carrying your files and tells that you have an appointment in 5 no no! I referring to our Personal Virtual Assistants. 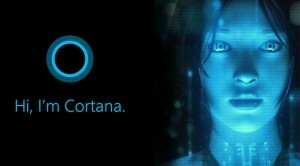 Siri and Cortana are among the well-known examples. Okay, I know some people really don’t use those but they can be very useful (and loyal). Today, we are well into the pre-intelligent era of things. Researches around the world are trying to bring what was at a time exclusive to the human beings to the devices we use every day, intelligence. When we refer to intelligence we all understand that it is the ability that someone (or something) has to learn, apply what it learns, take decision based on facts and understand the environment surrounding it. Does our so-called intelligent machines fits that definition yet? Where are we at currently in the artificial intelligence advancement? As at date, renowned tech-giant firms such as Microsoft, Google and Apple are well conscious that artificial intelligence is the technology of the future, hence, they are putting much effort in making our daily tasks and activities easier through the means of integrated Digital Assistants in their existing platform namely Windows, Android and iOS. Within the last decade, we have seen the birth of many of those, managing our daily activities and schedule or even those that try to track our behavior in an attempt at being more proactive. I have been using the most common ones; Google Now, Apple’s Siri and Cortana some of them do well their job and the concepts put forth by the companies designing them are very good. Apart from these three, there have been various projects created by individuals such as the Artificial Intelligence Markup Language (AIML) designed by Dr. Richard Wallace. Apart of these, there are other projects undertaken by other companies around the world that have achieved far beyond the artificial intelligence conception of those of the 2000s. Don’t believe me? Try googling “Pepper the robot” and see for yourself. Should we be afraid of these advancement? Not so long ago, I remember a well-known physicist namely, Stephen Hawking who said that Artificial Intelligence might be the human race’s cause of extinction. Me believing it? Well maybe, if God does not intervene well before. A little earlier I was taking about Pepper the Japanese robot, who learns your behaviour and that tries to cheer you up when you are in a bad mood. Wait? (it) she actually knows that I am in a bad mood? Yes, Pepper, is equipped with sensors that allows (it) to know and detect whether you are sad or not and then based on what she learns from you, tries to cheer you up. Maybe with your favourite music or some jokes. This is just one example of machines that are able to learn especially the human behaviours and react accordingly. 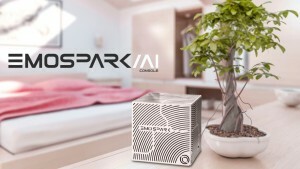 For the sake of example, there is another tech project called EmoSpark. Launched in 2014, is basically square like a box but programmatically contains thousands lines of codes and equipped with sensors that allows it to detect the feelings of people around it. So yes, machines are begging to learn and understand, I mean in its truest meaning. Has it however, integrated our lives to the fullest? That unfortunately, is not yet happening but it’s beginning to with the help of the little friends living in our smartphones, tablets and PCs; the Virtual Assistants. I fail to see however, how some of them fits the definition of the word assistant. Microsoft, the company behind Cortana defines the terms “assistant” as one being proactive, someone that things ahead of you, keeps things neatly ordered and organised for you but tries to bring to Cortana some character values and personification. Frankly speaking, I wouldn’t like being surrounded by thousands of Cortana bots. Why? This is how the word assistant is defined to me; something (someone) which has the attributes listed by Microsoft, but not on the primary list, it has to be much more than that. A Virtual Assistant, must be personified which means it mush first of all try to act like a person. Have you tried to have fun with Cortana? If yes, you must have found it very pleasurable depending on what you said to her of course. She sings, tell jokes, talks with a most-like natural voice. What if I tell her that I am depress? Will she ask me why or better will she try to do something about it like, playing some of my favourite music or find and ways on-line on how she can help me out? Proactivity. I call this facet the most important A.I virtue, that it the ability to know my needs and wants not just my job and habits. Most if not all the popular Digital Assistant has a certain level of proactivity but not enough and moreover, it lacks the ability to learn deeper about you. Limits which are set by the people behind their development not because of lack of technology. I like how some digital assistant can help you find restaurant, remind you about jobs, tasks and events or when they inform you about the weather or the traffic conditions but that’s it! Imagine you are in your workplace, editing and working out an important document which you have to submit to your boss tomorrow morning. It’s being late, so late that you might get scolded by your wife or mother when you get home. Instead of realizing all that, your digital assistant informs you that its high time that you go home and tells you that the document you are working on has already been saved and uploaded to your favourite cloud service or in case you don’t have an internet connection automatically transferred to your already connected USB storage drive and shuts down the computer when you agree. Wouldn’t that be great, when you get home the A.I automatically finds and open the document waiting for you to resume working? Believe me, this kind of thing is no more things reserved for some sci-fi movies we have the means and technology to create those kind of digital assistant. Feelings? No machines can’t have or express feelings and emotions just yet but at least they can mimic some of them. Pepper for example, can, according to its maker’s website express joy, surprise, anger, doubt and sadness. 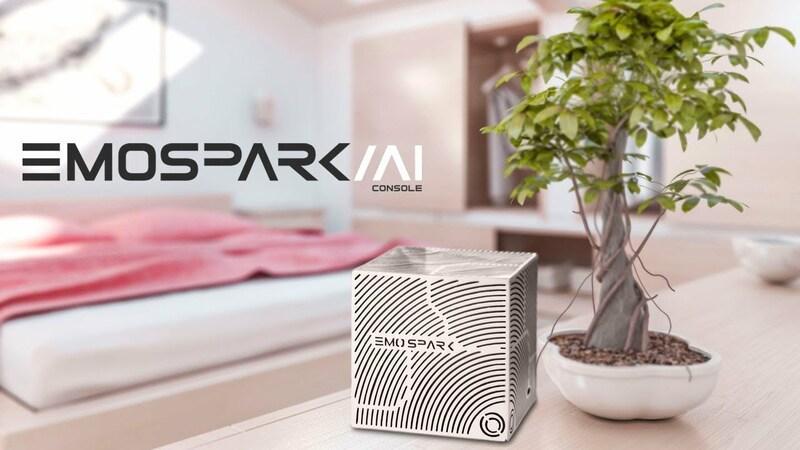 Artificial Intelligence is a great field to study, Personally I think those behind the main developments are on the right path and the points I have mentioned above such as improvement in personality, behavior and capacity of learning are beginning to emerge in projects such as Pepper and EmoSpark for example. However, how its integration in our lives will deepen remains to be seen. It would be great to see how the popular digital assistants evolve into being more mature and adopt more human characteristics.